Faculty (? 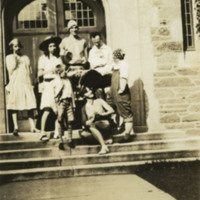 ), students, and a young boy posing for a photograph in front of a door. Gift of Helen Herman, March 1986.